Tonight, Radio Cuba Canta presents a tribute commemorating the long-awaited arrival of the great Cuban musical institution, Septeto Nacional Ignacio Piñeiro! 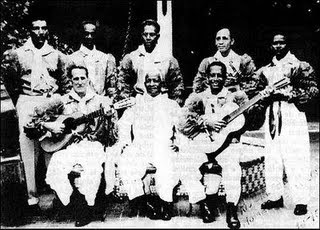 Host and Cuban music historian Emiliano Echeverria is joined by Luis Medina of KPFA’s Con Sabor to present a special interview with members of Septeto Nacional, discussing the group’s history since its formation in 1927, and its original founder, Ignacio Piñero. Septeto Nacional was finally allowed to enter the United States and bring their classic Cuban son to enthusiastic audiences in New York, Miami and California. Their performances at Yoshi’s Jazz Club in San Francisco quickly sold out. Other performances have been added, but are going fast! 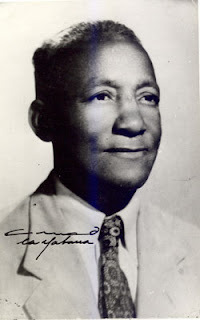 The program will also feature a jam session in the KPFA Studios recorded by our own C-Tone with members of el Septeto joined by Bay Area Cuban son-fusion group Pellejo Seco, with special guest Tito Gonzalez. 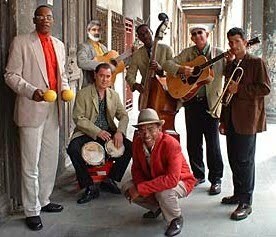 Septeto Nacional play Hoy Como Ayer; music, family, no drama.